This affordable one pot staple is a great winter meal that can satisfy everyone from the meat and potatoes crew, along with the more adventurous diner. With plenty of high quality low cost ingredients you can really serve a hearty dish at a great price point. Dumplings of unleavened dough – first boiled, then they are baked or fried usually in butter with onions – traditionally stuffed with potato filling. They are often semicircular in appearance and originate from Eastern Europe. Add mustard and Worcestershire sauce and brown lightly. Deglaze with chicken stock and cream, then add nutmeg and dill, cook until sauce thickens. Return Pierogi to mixture and gently combine. Finish with peas and portion as desired. 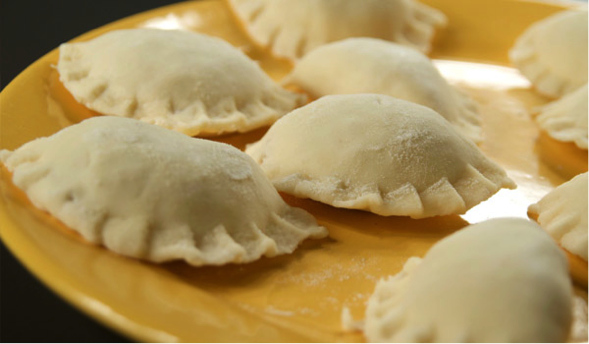 Pierogi are an oftne overlooked Polish-Ameircan culinary staple. Their firm dumpling dough, which can be steamed or sauteed, makes for a greater counterpart to their savory soft potato filling. They make a great unique alternative to commonly served starches. Polish Kielbasa also makes for a quick cooking center of the plate affordable item. 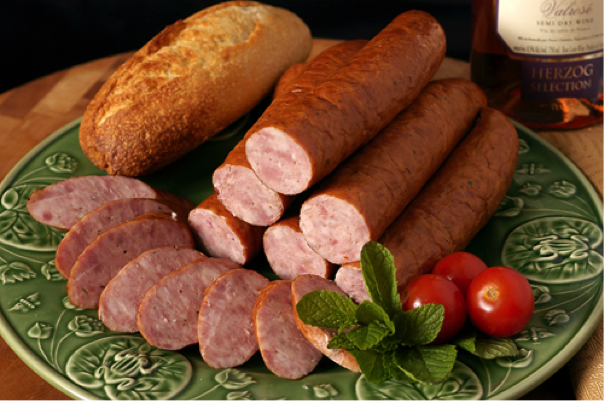 Easy to handle and prepare polish kielbasa is generally smoked- pre cooked and can even be bought pre sliced. This recipe will yield aproximately 70 8oz. portions with one serving of starch, protein and vegetable bound in savory sauce. This dish creates a hearty one dish meal with mass appeal, satisfying both the traditional american fare eaters, as well as more adventurous eaters. Adding a variety of spices can liven up the dish as well. Corriander or fennel seed would be appropriate, also beer instead of chicken stock can make a Octoberfest themed meal. Any selection of hearty vegetables can make the dish leaner, as well as omitting the cream. 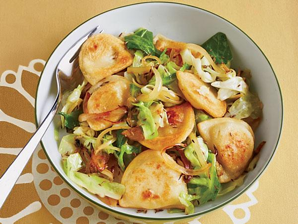 The dish can also be made ahead, as well as add a little cheese and portion into hotel pans- this will create a quick and easy pierogi casserole bake. Lastly any protein can replace the sausage for a heart health alternative- ground turkey, diced chicken or lean ground beef would all be perfect.